Economy Minister Bozhidar Lukarski announced that Bulgaria expected to attract investors from the US and China in 2015 and not only from Western Europe. In an interview for Standard daily, he said that his recent visit to the US made him expect a substantial increase in US investments in a number of spheres, adding that US-based companies had expressed interest in road infrastructure projects and schemes related to the power transmission network. Lukarski underscored that Germany was expected to be the largest foreign investment source to Bulgaria in 2015. He said that a major investment of German Behr-Hella Thermocontrol at the Sofia – Bozhurishte Economic Zone was to be unveiled on May 20, stressing that the company planned a major expansion over the next few years. Lukarski informed that Vidin was also expecting a large-scale German investment and also mentioned “a big Scandinavian company in the furniture segment” without going into details about the plans of the latter. 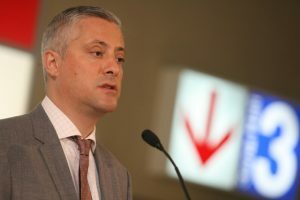 Asked to shed light on the plans of the Economy Ministry for a new Public-Private Partnership Act, Bulgaria’s Economy Lukarski said that the step had been taken due to occasional complaints of investors from western countries that the sector was plagued by a lack of regulation and the commitments of the local authorities, the state, and the private investor were unclear.He went on to say that all industrial consumers of energy would see a substantial decrease in electricity prices as of July 1. Stressing that the percentage was yet to be specified, he assured that the measure would increase the competitiveness of local companies, as well as boost investor interest in Bulgaria as a business destination. Bulgaria’s Economy Minister underscored that Bulgaria had the highest price of electricity for industrial consumers in the EU.